A rose by any other name may still be as enchanting and lovely. 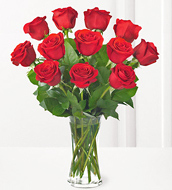 But, discount roses by next day delivery are even better still! Our premium roses are packed fresh from the grower or importer and delivered direct by next-day air for the freshest quality possible at an unbeatable bargain price. 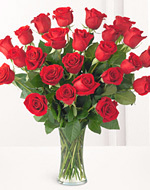 So, send a message of love or appreciation today, with grower fresh roses online. They're available in a rainbow of beautiful colors. 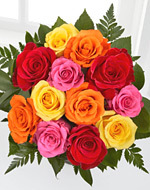 And, you'll always save a bundle with Flowers-Delivery-Florists.com. Discount Roses Delivered With Hugs! Through the ages, roses have symbolized love, beauty, passion, and appreciation. Ancient Romans believed roses grew where the tears of Venus fell to the ground. According to Greek mythology, it was Aphrodite who gave the rose its name. Shakespeare refered to roses more than fifty times in his writings. Napoleon's wife Josephine adored them. French explorer Samuel deChamplain brought the first cultivated roses to North America in the seventeenth century. And, today, the rose is the official flower emblem of the United States. 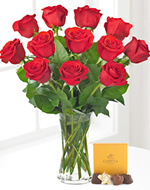 Traditionally, red roses convey love, respect and courage. Yellow roses mean joy, gladness and freedom. 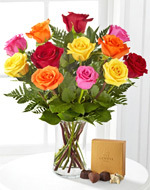 Pink and peach roses symbolize gratitude, appreciation or admiration. White roses denote reverence, secrecy, purity and heavenly things, while red and white roses together symbolize unity. 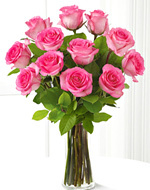 But, the most important meanings of roses may be what they mean to the individual giver and recipient. Because, every rose gift carries its own individual meaning and personal message between any two people who share their ageless beauty. 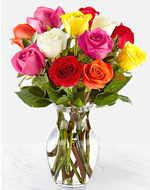 Dial 1-800-383-6622 for professional florist delivery worldwide!  Copyright © 2019, www.flowers-delivery-florists.com, All Rights Reserved.